3DPLM Software Limited Walkins for Mechanical Engineer for the CAD Knowledge/PLM knowledge/Software Testing work. Posted in Freshers, Job After Btech, Mechanical, Walkins, Without Experience. Tags: 27 May, 31 May 2014, 3DPLM Software Walkins, Fresh Mechanical Engineers, Pune on May 27, 2014 by Lalit Joshi. Allscripts is a leading provider of Healthcare IT, listed on the NASDAQ stock exchange (MDRX) and headquartered in Chicago, IL. Allscripts is located in eight major cities across the USA and has a total of 15 locations worldwide including India, Canada, Singapore, Australia and UK. Education: BE/ BTECH/ MCA from a recognized University. Posted in Apply online, Computer Science, Freshers, IT, Job After Btech, MCA, With experience, Without Experience. Tags: Allscripts India, Fresher Jobs, Intern Contractor, Pune on May 25, 2014 by Lalit Joshi. 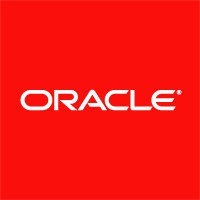 Oracle is recruiting BE/Btech, MTech, MCA passouts with relevant skills for the developer position in the company. Posted in Apply online, Computer Science, IT, Job After Btech, MCA, ME, Mtech, Software Development, Software Engineering, With experience. Tags: Application developer, Apply online, freshers hiring, Oracle Jobs april 2014, Oracle recruitment, Pune on April 26, 2014 by Lalit Joshi.